But check this sweet baby out! 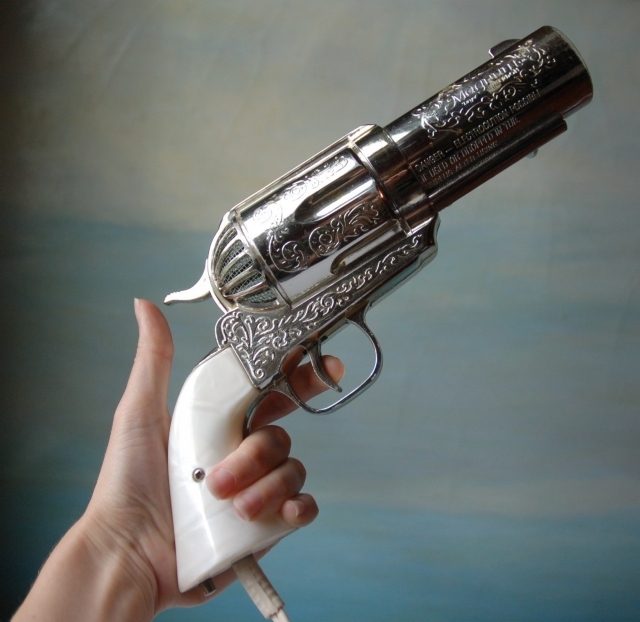 The 357 Magnum Gun Hair Dryer! Say whaaaaaaa???? On one website, it shows the price starts at $225, but when you follow up on Etsy to the link provided, it shows a listing price of $550. 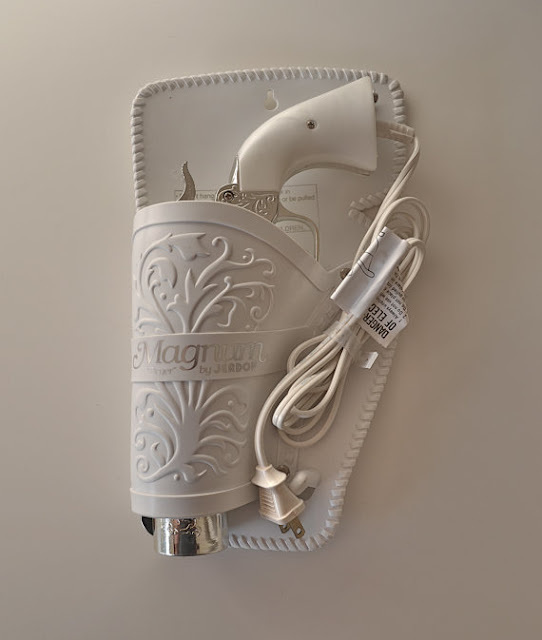 Made in 1981, this cute dryer has 3 settings: Style, Dry or Quickdry. 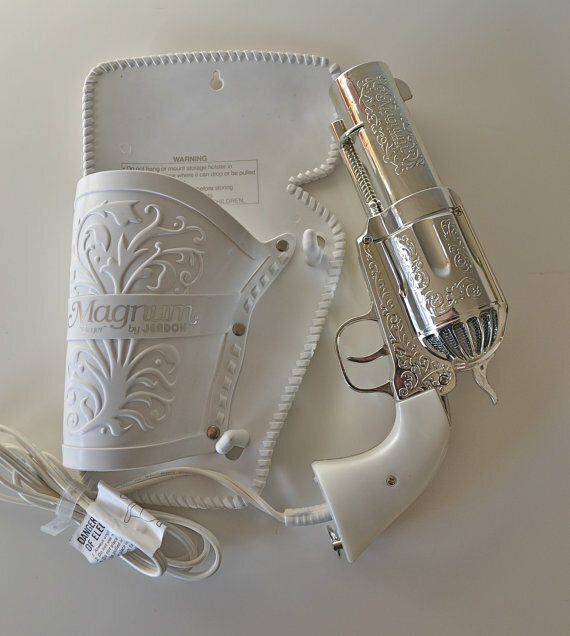 It comes with a white and silver holster with an option to screw into a wall for easy storage. It does not list the wattage of this dryer, but given when it is made, its wattage is prolly not as high as our modern day dryers. I love this! When I have my studio, I would def have this or something like this hanging up where my salon section would be at. I have so many plans for the future, I love interior design so this really appears to me as a statement/conversational piece. 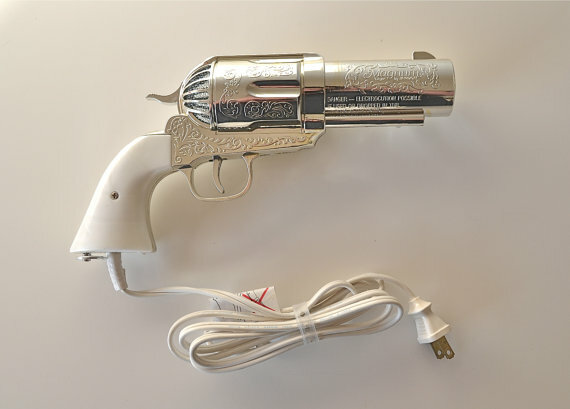 I would prolly not use it just because its so vintage, but I thought I would share this! Here is the ETSY link if you wanna check it out, or even purchase it! I hope you enjoyed reading this as much as I have written it for you! Come back soon!